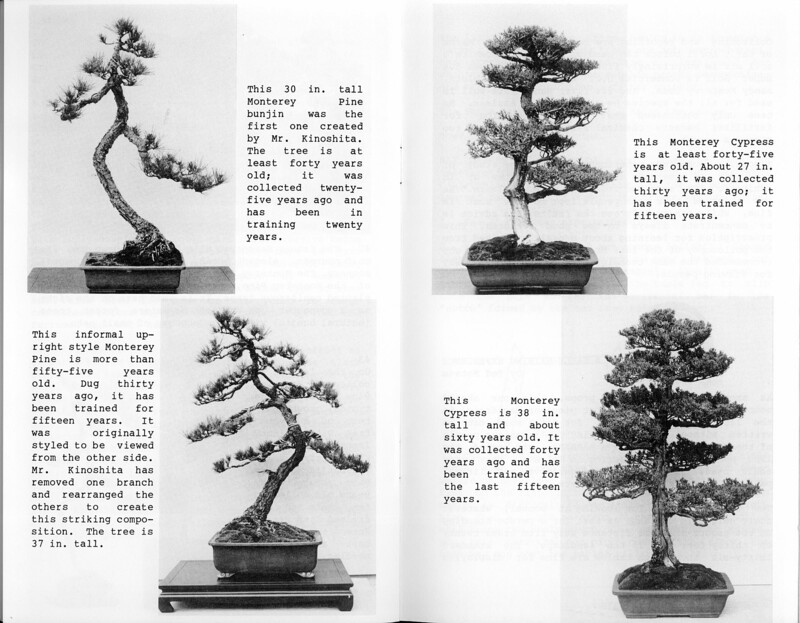 You are currently browsing the tag archive for the ‘Bonsai technique’ tag. 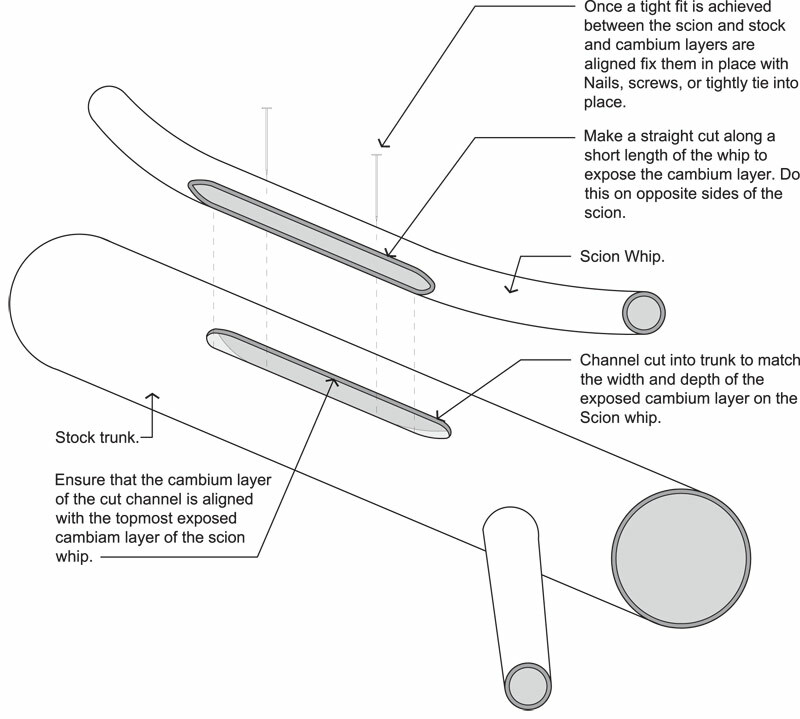 Pinus Radiata (Monterey Pine) Techniques. Pinus radiata was first introduced into Australia in the early 1850’s but was not commercially planted in large numbers until the 1960’s. Since their implementation as a commercial timber crop, Australia has planted around 740 000 ha of the pine. 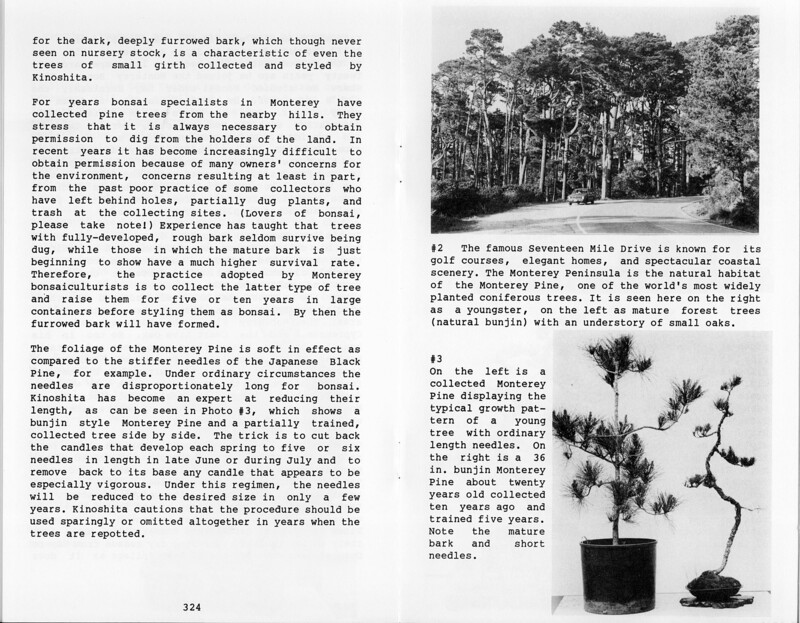 In plantations, seed produced by the pines germinates readily and many seedling pines can be found around areas where plantations are present. As Australia doesn’t have any true pines native to it, these plantation escapees are the closest thing to the yamadori pines of other countries that we have. In fact, the radiata is such a vigorous grower and reproduces so easily that in many states it is declared an invasive noxious weed species. 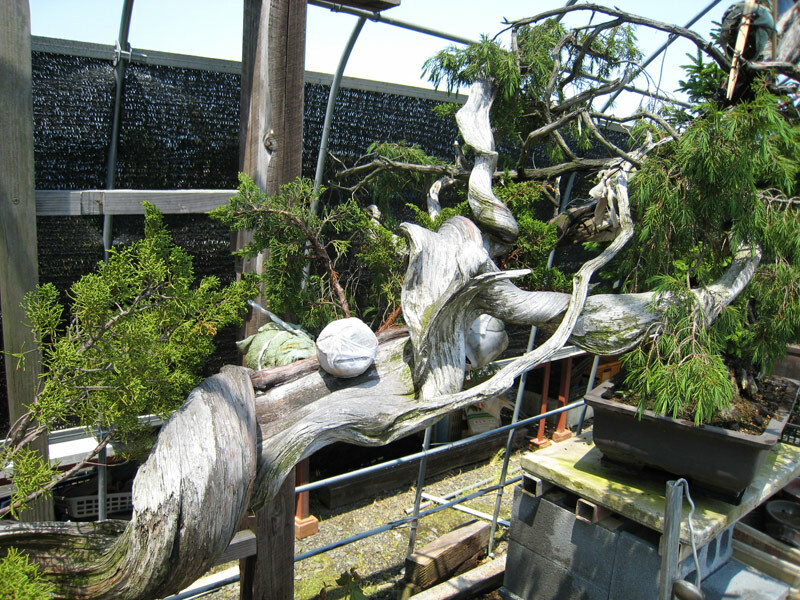 Pinus radiata or ‘The Monterey Pine’ although prolific as a timber species around the world is not commonly used in global bonsai circles. 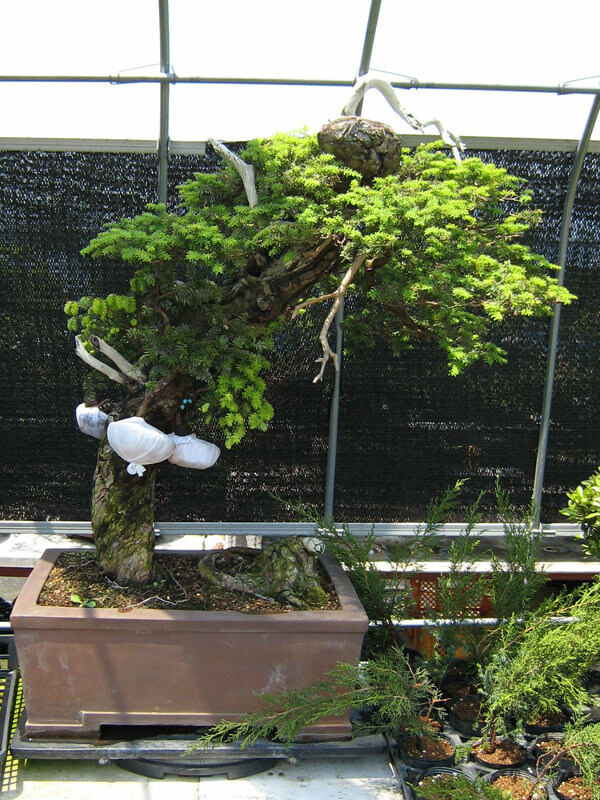 This is perhaps because it is a little quirky when grown as bonsai. 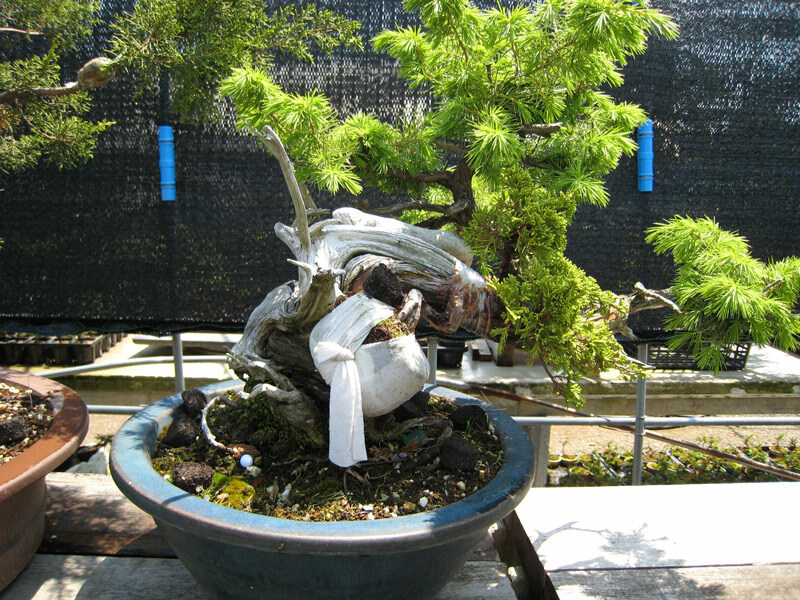 They have a lot of traits that make them ideal for bonsai. 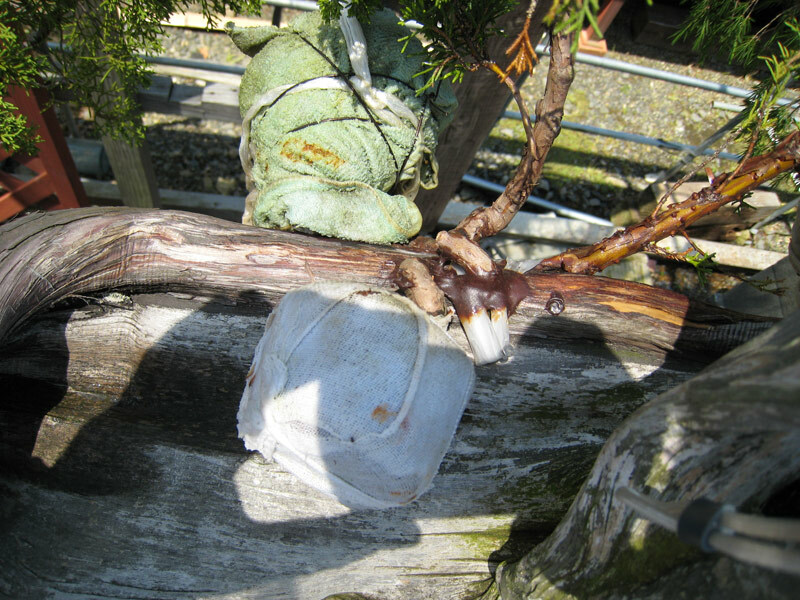 Fantastic bark, vigorous growth, highly flexible and the availability of ‘wild’ stock to be dug up all add to their bonsai credentials. I have been growing a number of Radiatas and I am still yet to find the magic bullet for refining them. 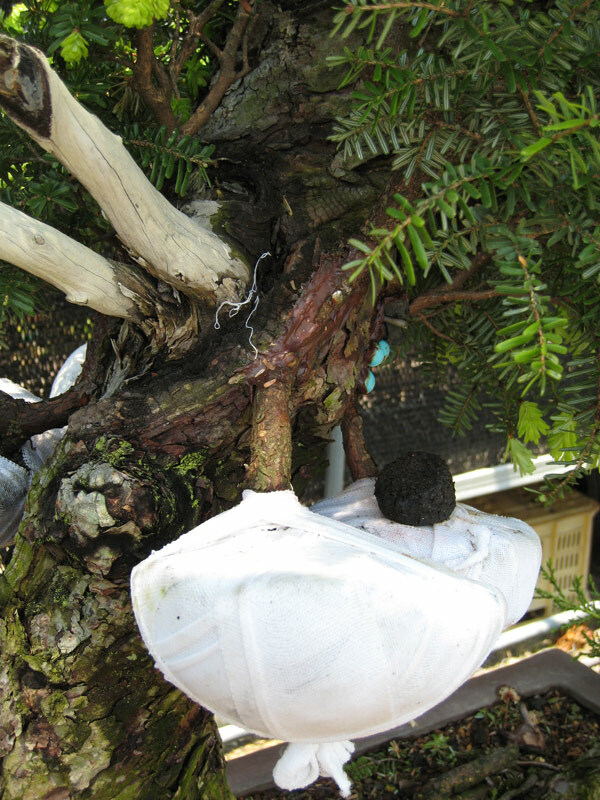 Black pines seem difficult to grow until you understand their growth patterns and then prune, candle cut and needle thin at designated times of the year. The result of working within their growth habits produces neat and small needles and a large amount of back budding. Radiatas I have not found as easy to master. When I first started growing them I was told how easily they back budded and that you would have ‘almost too many buds’. This sounded too good to be true, and during the subsequent years of growing them I unfortunately found this to be the case. The other problem I find with them is their needles. They can often be long, twisted and curled, but on some trees (one of mine being a key example) I have noticed shorter, neater and straight needles appear after the previous year’s unruly growth. This gives me hope that I may be able to work out a way to evenly force a neater shorter needle length by working with the tree’s growth cycles. 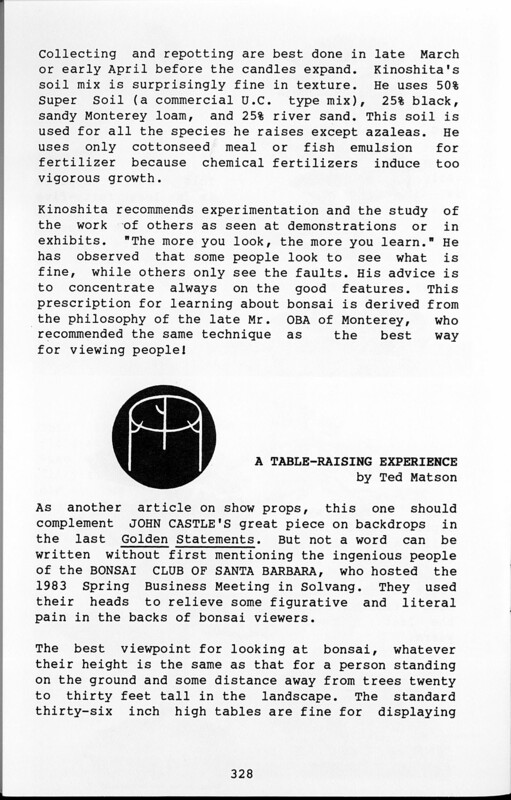 Over the next couple of posts I hope to generate some discussion with other growers that may dispel some myths and share successful techniques with the wider bonsai community. So if you know anything about Radiatas or grow them at home and are having similar problems please send me an email (Look under ‘contact me’ in the left side bar) or add a comment below. 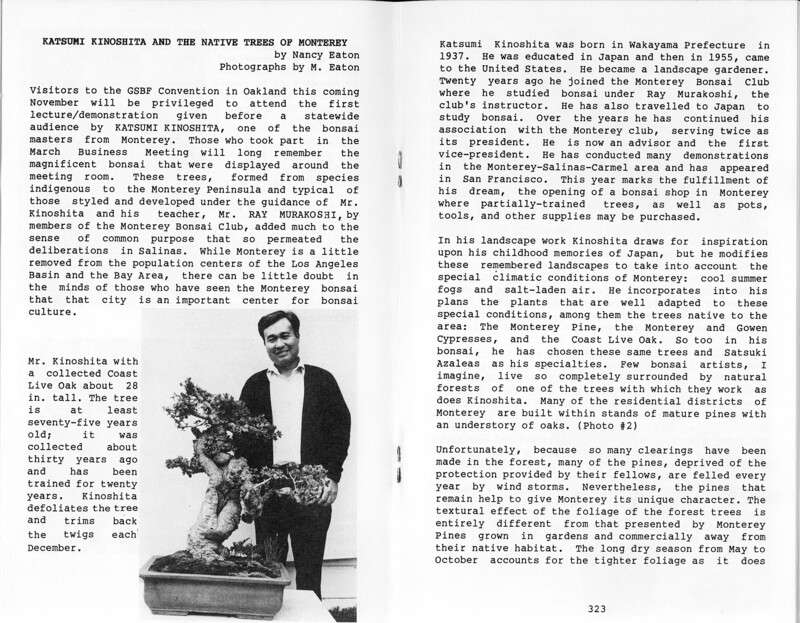 To get people thinking I have included an old golden statements article to kick off the discussion that was written by Nancy Eaton on Mr Katsumi Kinoshita back in 1984. I used it as a starting point for my trees. Have a read and let me know what you think. Does the way you grow radiatas differ from those of Mr Kinoshita? I would love to hear about it. Next week I will begin to post about my experiences with the species and some of the things that have shown good results and others that have not been as successful.